Interlining is a very important in apparel manufacturing. Interlining is one kind of accessories that is used between the two layers of fabric in a garment. To keep the different component or part of apparel in a desired shape, a kind of fabric is used between the two ply of fabric by sewing or fusing is called interlining. Generally, interlinings are soft, thick, and flexible. It is made cotton, nylon, polyester, wool and viscose. Sometimes finishing is necessary to improve its properties i.e. shrink resist finish, crease resist finish. To control the shape of the garment. To control the area of the apparel. To reinforce the components of the garment. To make the apparel beautiful, strong and attractive. To ensure the anticipated look, quality and effect of the fabric. Interlining is generally used in collar, cuffs, waist band, front facing of coat, outerwear plackets, jackets, blazers etc. Sewn interlining or non-fusible interlining. The interlining which is used between two layers of fabrics directly by sewing without heat and pressure is called non-fuse interlining. 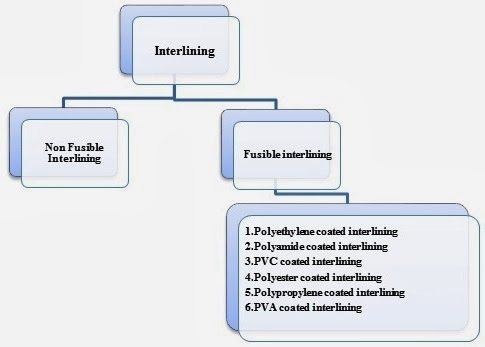 This type of interlining is also called sewn interlining or non-fusible interlining. For the preparation of sewn interlining a piece of fabric is treated with starch and allowed to dry and finally sewn with main fabric. Non-fuse interlining use in “Flame Retardant” apparel. It is used for making apparel for fire service people. 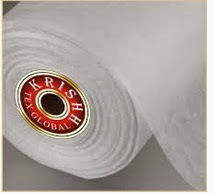 It also use for making safety apparels for the peoples who works in re-rolling mills. Specially used in embroidery machine. To make flame retardant garments. No elaborate machine is required. 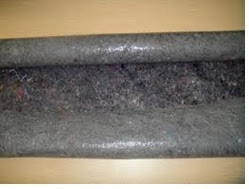 Possible to use in steel or re-rolling or highly hearted industry. Not suitable for large production. High work load & labor cost. It is most used interlining. The interlining which is used between two layers of fabrics by applying heat and pressure for a certain time is called Fusible Interlining. 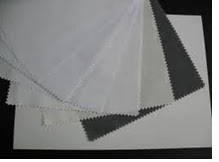 Fusible interlining is used for all kinds of apparel. Also it is used in “Ready to wear” and “Bespoke garment”. It is very popular. To get similarities among the apparel. Interlining gives the same outlook of the apparel. 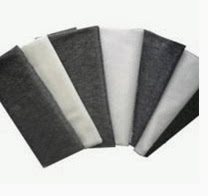 Fusible interlining is available in the market. Application process is very easy. Special care is needed during attaching interlining. Polyethylene is used as resin coating. The effect of varying the density of the resin is to give a greater resistance to dry cleaning solvents and a higher softening point with increasing density. This type of interlining is used in collar, cuff of shirt. 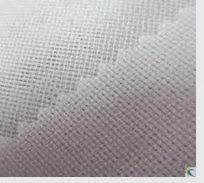 The fabric attached with this type of interlining can be washed in water. 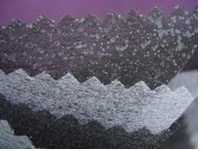 Polyamide is used as resin coating. Poly-amides are very widely used in dry cleanable garments. High temperature fusing is done for the garments, which are washed with water at 60ºc. This type is suitable for both dry cleanable and washable garments. 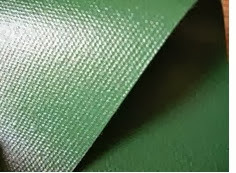 PVC coated interlining is widely used for making the coat type garments. Polyester resins are used in dry cleanable and washable garments because polyester is less water absorbent than polyamide. Available in market but costly in price. Comparatively high temperature fusing is done. Low temperature and pressure is required. Basically it is used between the leather and far materials. The resin is normally in the form of a continuous plasticized coating on the base fabric.